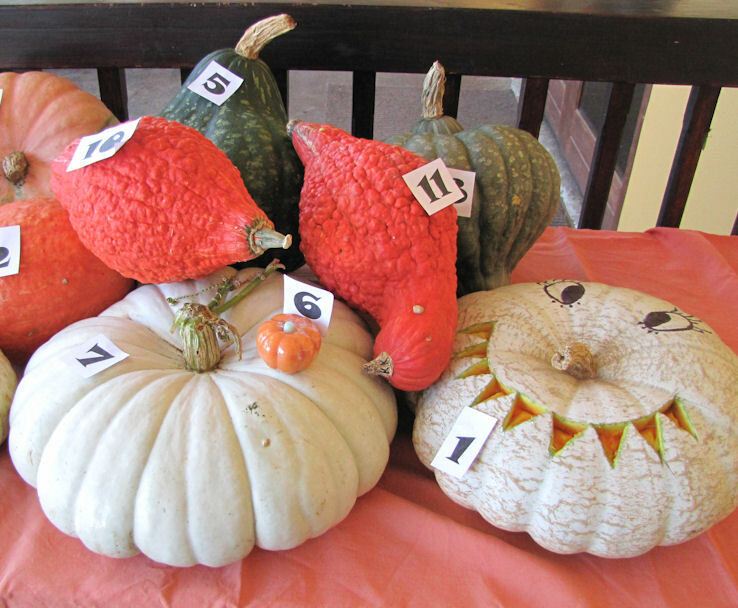 Yesterday was the annual pumpkin festival in our area and as you can see there were a lot of fun entries. Mine is the tiny one on top of the VERY large one. I cheated a bit because mine is actually a SOAP. But hey they didn't specify that it had to be edible! I decided to make a a mould for my pumpkin soap as I did not have time to search for one. I used a plastic pumpkin that I had bought last year for a photo prop. I am glad it came in handy again. I used a different product to make my mould this time. It is something called Flexy Fast moulding putty and you can buy it from Bramble berry. I have to say it is not the easiest stuff to work with and OMG is it sticky. I think I read somewhere that I should not use silicone gloves. So with this in mind I used silicone gloves. What a mess. Mixing and mixing then realising it was really sticking to the gloves. No way was I going to waste it so I took an old knife and scraped it all off the gloves. The knife worked so well I decided to use it to mix with, so I scraped it all onto a piece of brown paper and mixed away. Much easier. I then used the knife to spread it onto the plastic pumpkin and then I moulded it so it was evenly distributed. I left a hole at the top - which would be the bottom of the pumpkin when made up. I have to say this was fun but pretty messy. I am sure I probably did something wrong - hence the mess. But all's well that ends well. What a job! Hey you now have darling pumpkin mold. I prefer the method you used in the first link. I've done both but the marine silicone is my favorite for me more accurate a mold is the finished product.